In today’s world, an astonishing number of children are unable to make the connection between the farmland surrounding them and the food on their tables. The traditional education system too often neglects the importance of agriculture and the hands and lands that cultivate the world’s food. 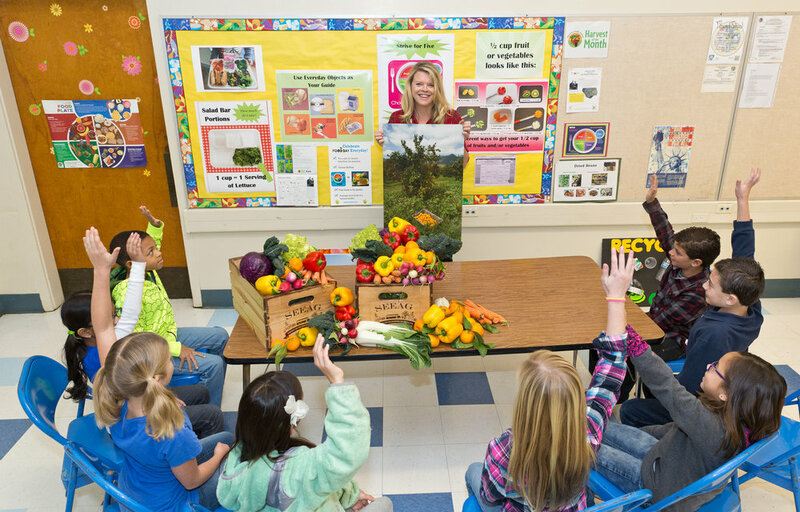 This classroom creates a foundation in agricultural literacy and forms the first steps towards understanding the food supply chain. Consisting of five separate but equally important parts, this presentation engages students in science based learning and prepares them for an interactive farm field trip. SEEAG’s Farm Lab at Petty Ranch in Saticoy provides students with a hands-on learning experience by immersing them in a working farm. Field trip educators guide students through four stations equipped with STEM-integrated learning objectives that create a realistic understanding of the agricultural industry. This interactive three-hour excursion provides insight about current farming practices and opens students’ eyes to the science behind their food. Bring the Farm Lab Fun Home!